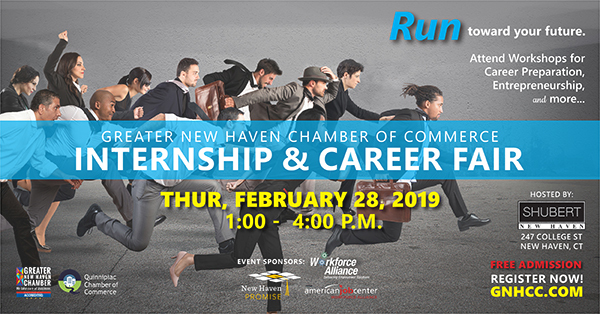 The Greater New Haven Chamber of Commerce will host an Internship and Career Fair on February 28, 2019 at the Shubert Theatre in New Haven. We will bring college students, soon-to-be graduates, post graduates, and emerging talent together for job & internship opportunities. GNHCC will leverage its connections with the business community to assemble employers from across the region and state. 3:00 – 3:30 P “Understanding Your Definition of Success”– BRING YOUR RESUME!